Hockley’s clubhouse provides an ideal place to relax and chat over your round. We have a fully licensed bar and restaurant and our menu caters for all tastes from a simple sandwich to a three course meal. The clubhouse is divided into a more casual area where you can relax on one of the sofas and read your newspaper, or keep up to date with the day’s major sporting events on satellite or terrestrial TV. 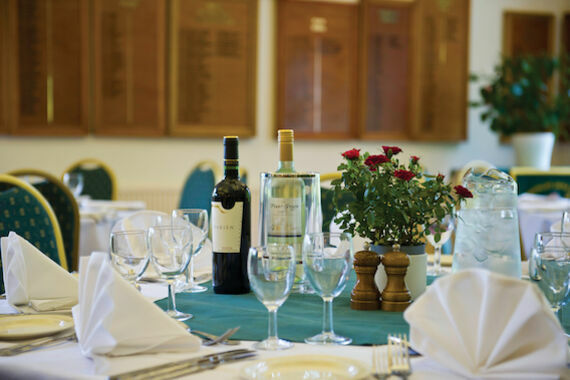 We have a more formal dining area for special occasions and for the use of Society golfers. This room is also available for hire for meetings, parties and private dining. 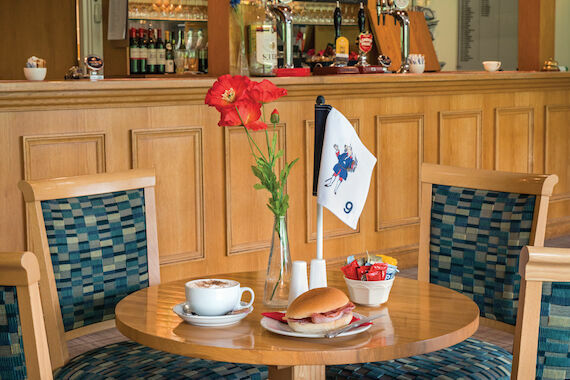 New in 2014 is a 'sports bar' where you can await your departure from the 1st tee in your spikes whilst having a coffee, tea, or something stronger - or perhaps enjoy a quick pre-golf snack. It also 'doubles' as a 19th hole for after your game - where you can analyse your round and consider those 'what might have been' moments! There is an outdoor terrace with seating and sunshades where you can sit, enjoy a drink and and watch players hone their putting on the adjacent practice putting green. There are changing rooms for both men and women, with showers and lockers. The clubhouse is also home to our offices, where you can find help with any questions you may have.